I have liked the software, it is important to improve my skils in the use of the SWORD( God´s word) e learning english at same time. Please post non-technical discussion to the forum, preferrably under "Portable Freeware Discussion" (http://www.portablefreeware.com/forums/viewforum.php?f=2. I clean up comments regularly and will only retain comments with technical merit pertaining to the application under discussion. This is a well written program! FAST! One of the best I have seen. I will be using htis for my Greek Studies and Biblical Archeology. Why is it everyone is "Tolerant" to everything else BUT the Bible? 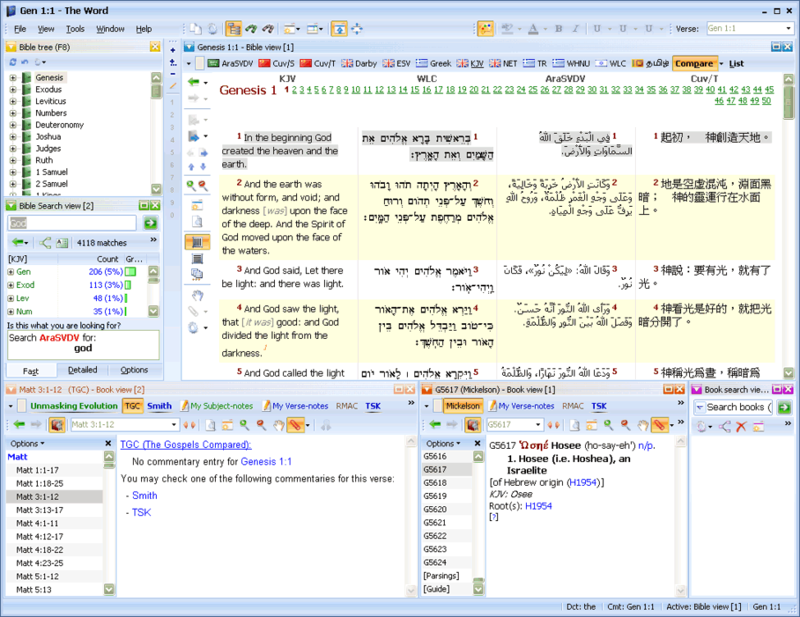 it is possible to use Bible software for other text. Or how it is necessary to prepare an original text for to be read by such a type of software? Also I think the install instructions are a bit off... in NSIS installers I've always seen $PLUGINSDIR folders only hold NSIS plugin files that the INSTALLER uses... they are never actually installed to the program folder. I haven't tried it myself but you can probably just delete them instead of copying them.